One day I realized none of them were able to say why they were Christian, despite having been baptized and confirmed in the church. None could articulate the gospel story, much less tell David from Abraham. I felt like I was losing them a little more every week. And I came to believe that, as one evangelical leader famously said, it’s a sin to bore kids with the gospel. So I chucked the curriculum and simply started walking us through the story of the Bible. This wasn’t about making better Bible trivia contestants either, as if cramming a bunch of Bible-y facts into a kid’s head is going to help anything. I simply told the story—one character, one narrative, one book at a time. When I did this—when we dispensed with the church-sanctioned soporific—they came alive. No one had ever done this for them. Sure, they remembered a handful of isolated stories (though the absence of talking vegetables came as a surprise). But no one had ever shown them how each story connects into one big, redemptive movement. No one had ever explained how we got from a primordial garden to a scrappy, sometimes violent little kingdom to a lynched rabbi proclaiming world-remaking enemy love. No one had ever told these kids what it was all for. They were used to having Bible facts drilled into their head. They were expected to believe certain thing about the story, or propositions derived (ostensibly) from it. But they were never just told the story. The best stories—and let’s be honest, ours is a pretty good one—can be absorbed, entered into. They become part of us, and we become part of them. Except, unlike cosplay, our kids can play a real part in this story—right here in this world. Today, I’m a parent. Thankfully, we have a ways to go before the junior high years. We’ve been given more than our share of Bible storybooks, and most of them do what that denominationally approved curriculum did to my youth group. They dismember the Bible. They repackage each story as its own little thing. They turn epic drama into moral fable. All of which makes me wonder: why don’t we trust our kids with the story? Why don’t we just let them have it—not in moralizing bits and pieces, but the whole story? For the last couple years at Advent, we’ve been introducing our kids to the big story of the Bible. Granted, they’re young. There’s only so much they pick up on, at this point. But I don’t just want them to believe that Jesus was born or that he died or that he rose again. Among other reasons, a Jesus who is disconnected from the larger story—a Jesus who magically appears out of thin air—is no different from the fantasy TV characters my kids love. I want them to know how the story goes from God’s good world to all the brokenness and injustice of our world and ultimately to Jesus. I want them to know something of the world he came into. 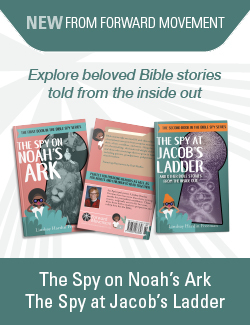 There are tools that can help you share this story with your kids—that don’t just tell individual Bible stories but show the thread that connects them. The Jesus Storybook Bible, Desmond Tutu’s wonderful Children of God Storybook Bible, etc. I wrote a kid’s book that tells the whole story in one sitting. This approach takes work. It means you have to slow down a bit. You have to make room in your family time for something more than a Bible “sound bite.” It’s actually kind of countercultural, if you think about it. But what if all we did was introduce our kids to the story? Would their imaginations come to life? Would they feel more connected to our worship? Would the lectionary make more sense to them? Most importantly, would they be able to see God’s plan for the world—and their part in it? Do you feel able to pass on the whole story? How do you do it? Fantastic article! I think this is so right – and it’s so simple, too. I was outside the church for a long time; I thought of myself as an atheist. Yet I was always moved by the story itself: the story, in particular, of God who comes to earth to live among us. The cosmic drama of Holy Week; stories of people and their wanderings, and of ordinary life. I read Bible stories as a kid, and later on this was the stuff I recalled. (I read mythology as a kid, too, and still have all those stories, too – but the Gospel is more dramatic, more interesting, and better all around.) I watched all those great 60s movies, which were really midrash: The Robe, Barabbas, Ben Hur. I think it might be fun for older kids to write stuff like this, actually, that takes off on the basic stories and fills in the details; the Orthodox have lots of hymns (and saints, actually) that do this. 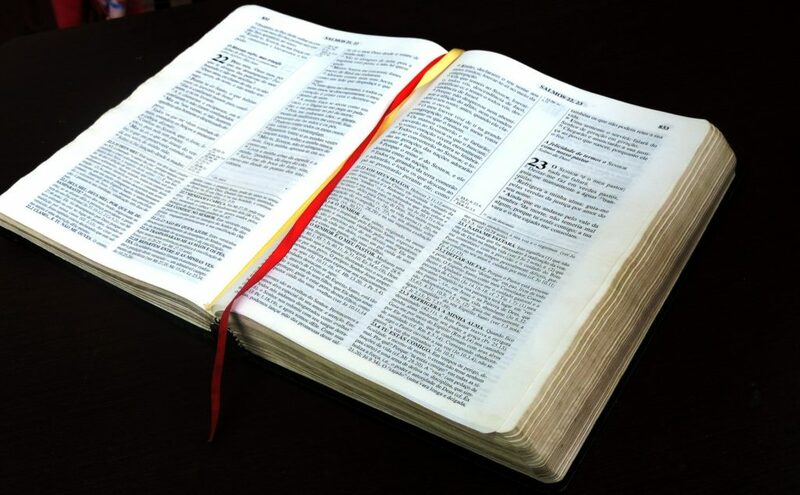 I ended up in EFM because I wanted to read the whole Bible – and I wasn’t disappointed. More great stories! You’ve definitely got the right idea here. I had a similar experience about 20 years ago, precipitated by my asking the group “what is your favorite Bible story about Jesus?” and being told “Noah’s Ark!” I asked @Where was Jesus on the ark?” And off we went. We made a timeline of all the Bible stories they knew, worked through a genealogy to link Jesus to Adam and Eve and everyone else and had a wonderful journey through our spiritual family history.